People for the Ethical Treatment of Animals (PETA) is no stranger to controversial ad campaigns, but their latest is drawing the ire of many who find it insensitive. C.J. Wickersham was spear fishing with friends off the coast of Anna Maria Island in Florida when a shark bit into his leg. The 14-inch wound required 600 to 800 sitches to close. Shortly after the attack, though, PETA unveiled a new billboard in the area. Check it out below. The organization says the ad shows "the deadliest killers in the water aren't sharks—but human beings." Nevertheless, many are outraged by the billboards. The mother of Wickersham simply said the billboard was "over the top." 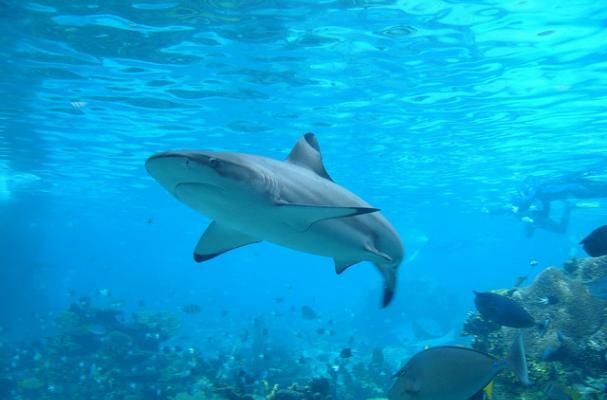 "If you want to lead a campaign saying humans should value and protect the natural environment and use resources more wisely, or that we should cause less suffering, I'm on board with that," David Shiffman, a shark conservation biologist and blogger, said. "But if you want to argue that humans and fish are somehow morally equivalent, stay the hell away from my family."